Our drum agitators maintain the homogeneity of base components that are contained in drums to feed the dispensing system. 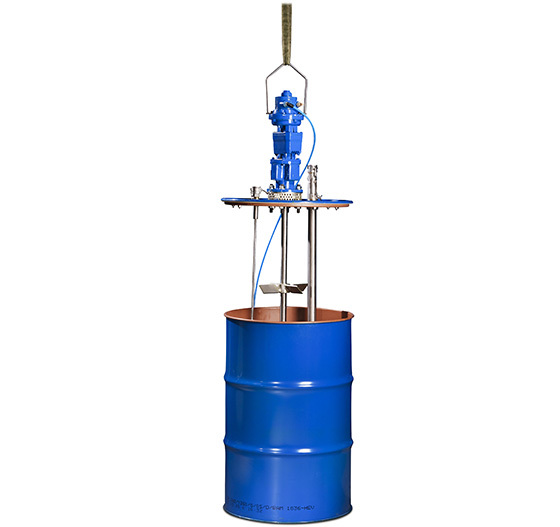 Drum agitator for inks up to 600 mPas, with a mixing element with fixed cups or blades. Drum agitator for inks up to 1,250 mPas, with a mixing element with fixed cups or blades and a more powerful air motor than version 1. 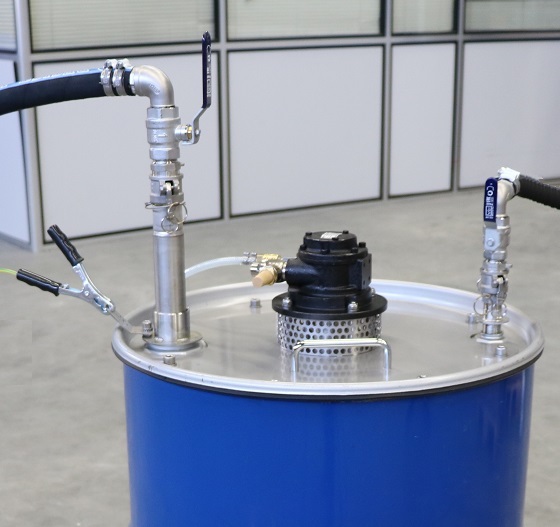 Drum agitator for inks up to 2,500 mPas, with two fixed mixing blades, a more powerful air motor than version 2 and equipped with a gear box. 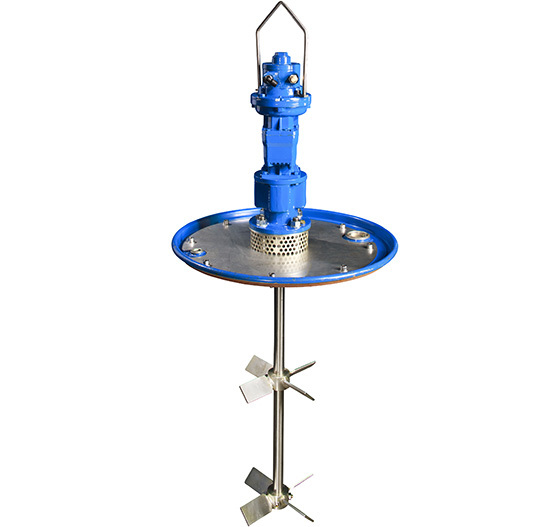 The agitators are directly connected to the air supply, meaning that they mix constantly. Optionally, the equipment can include pneumatic controls for regulating the air supply and controlling the agitator. This enables the configuration of the mixing cycles in the GSE Ink manager software. You can then arrange for the mixing to take place during the circulation process alone, or during both circulation and dispensing. 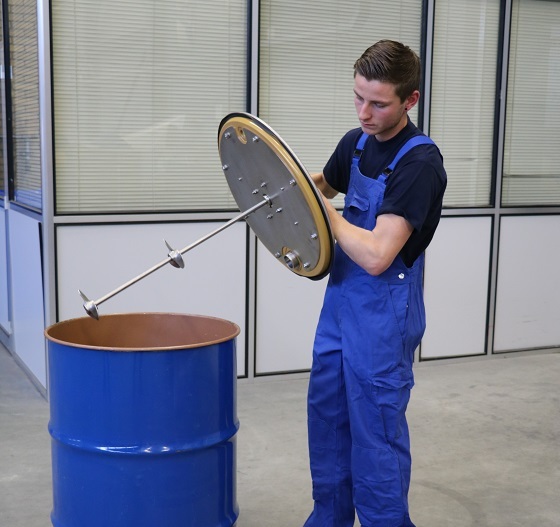 The pneumatic agitators are suitable for both water-based and solvent-based inks. 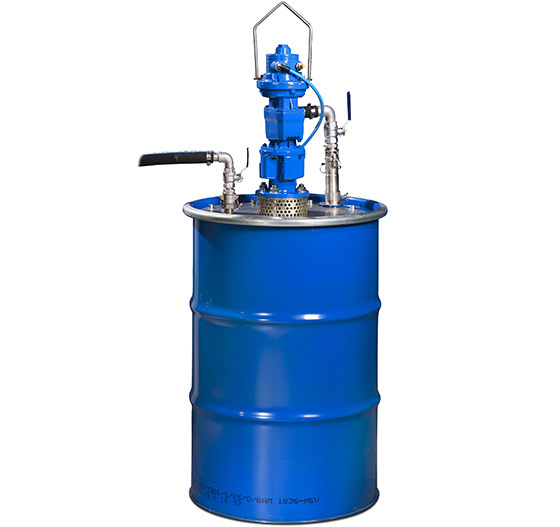 The solvent-based models feature an explosion-proof specification as standard. © 2019 GSE Dispensing All rights reserved.